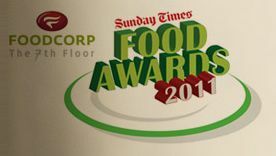 I recently attended the Sunday Times Food Awards at the Foodcorp Innovation Centre in Black River Park. The awards are designed to recognise individuals within all areas of the food industry. 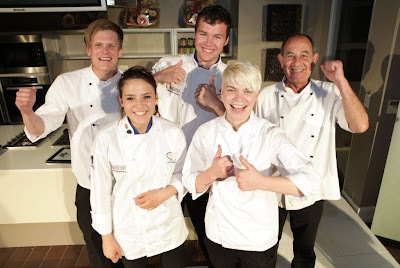 There are awards for Chef of the Year, Young Chef of the Year and Stalwart of the Kitchen. As well as an award for best Chef School. The competition is run Master Chef style, although it has been around a lot longer than Master Chef. The chefs are given a mystery basket of ingredients and they then have a limited time to select additional ingredients from a shared table. Then they have a set time in which to design and prepare a three course meal. The judges (a selection of respected chefs, food writers and previous winners) evaluate the dishes for presentation and taste. The judging is blind, so unlike Master Chef, they don’t know who made which dish even after they have scored them. In fact the judges also don’t discuss the dishes with each other so they only know the winners once the independent audit of the voting has been completed.